In a decade filled with raging lunatics, murderers as heroes, and heroes who murdered, Cliff Robertson, distressingly middlebrow in appearance and acting style, looked like a man out of time. As the 70s began, Robertson was enjoying the fruits of his Academy Award-winning performance in Ralph Nelson's Charly, a straightforward adaptation of Daniel Keyes' touching novel Flowers For Algernon that was elevated by the actor to a level of unavoidable poignance. Six months older than Marlon Brando, Robertson did not have any opportunities to portray an aging Mafia kingpin, so instead he starred in Robert Aldrich's war picture Too Late the Hero (opposite Michael Caine) and then directed himself in the rodeo-themed J.W. Coop (1971). He played a vital role in a more traditional Western, Philip Kaufman's The Great Northfield Minnesota Raid (1972), starred in Frank Perry's crime/mystery Man on a Swing (1974), and then several TV movies. He made a good supporting appearance in Three Days of the Condor (1975). 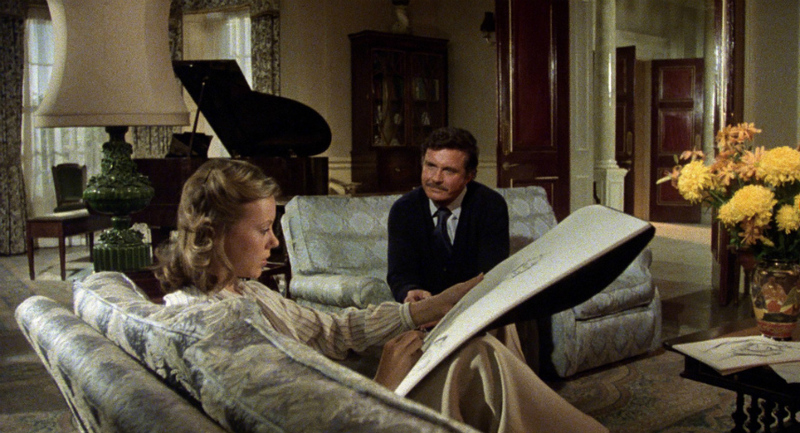 I saw Brian De Palma's Obsession during its initial release in 1976 -- my first theatrical De Palma -- and Cliff Robertson was perfect as the star/lovelorn sap. Watching the movie again recently, on the excellent Shout! Factory Blu-ray that our own Michele "Izzy" Galgana reviewed a few months ago, my old crush on Geneviève Bujold was rekindled and I realized I had underestimated Robertson as an actor for all these years. As much as I enjoyed Anderson's adroit skill in making the most out of the far more limited settings -- much of the movie take place in and around a large mansion -- and the presence of Agutter, Simon Ward as a suspiciously good-looking chauffeur, and Jean Simmons as an ill-fated wealthy woman, I think I enjoyed Cliff Robertson more than anything else. Perhaps that's because I had Obsession in mind, where he is a warm-hearted fellow who suffers tragedy, flickers back to life thanks to romance, and then rages when he discovers duplicity. Here he is a cold fellow, all icy calculation who disdains the company of others, and then finds himself all caught up in a plot that sounds far too familiar for comfort. The chill of his character warms up when he realizes he might be in serious trouble, possibly haunted by the same creature who haunted his wife. Or was that all part of an elaborate facade that he helped to construct? Whatever the case, Robertson may be once again playing a character mixed up in a marriage with unhappy, but it's such a different type that it's rather refreshing to watch and enjoy. Subsequently, Robertson made notable appearances in Bob Fosse's Star 80 (1983) and Douglas Trumbull's Brainstorm (1983) and others, though his immortal role in Sam Raimi's Spider-Man (2002) will always be how many remember him best. 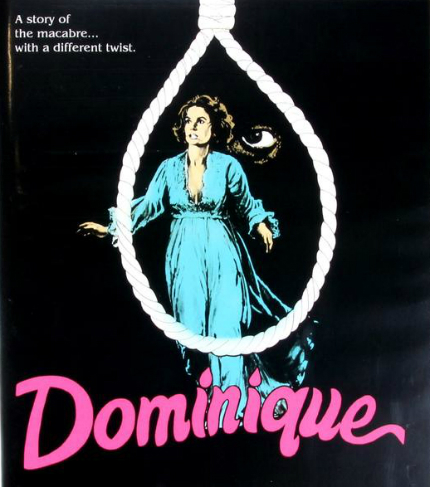 For myself, though, I may watch Dominique again, and then start catching up with the actor's work in the 1970s. What other gems have I missed? 70s Rewind is a column that empowers the writer to explore his favorite film decade.